“When did you buy your house?” writes real estate reporter Marcie Geffner  in her recent Inman article by the same name . The fact is that with the rise and then fall in home values that has taken place in the last decade, the timing of your purchase is a good indicator of whether your home is worth more or less than you paid. Just as “where” divides a city by communities and “how much” splits a city into smug homeowners and risk-adverse renters, “when” separates those homeowners who are probably safe from those who more than likely aren’t. What the question really means is: Did you buy your home when prices were affordable and a mortgage meant 30 years at a fixed interest rate? Or did you buy your house when prices peaked and mortgages were creative, toxic and exotic? Do you have equity or are you underwater? Have you made a paper profit or lost your shirt? Are you a stable homeowner or are you just cycling through homeownership on your way back to renter status? Were you smart and lucky, or stupid and cursed by the house gods? – If you bought in 2002 or earlier, your home is most likely worth more than what you paid. – If you bought in 2003, there is a good chance your home is still worth about what you paid. – If you bought after 2003, your home has probably lost value. The amount of the discount is based on your timing. Prices peaked in 2006. – The previous points assume you paid fair market value at the time of your purchase. If you bought at a discount, your value may not have dropped as much as similar homes. And, if you paid over the market, you may have lost more in value than your neighbors. 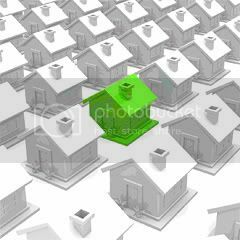 – The value of your home will be influenced by where and what you bought. Some properties and neighborhoods have fared better than others. – If you made significant improvements, then your value should be higher than what you paid but not necessarily to a level that will cover both your initial purchase price plus the cost of your improvements. You can read Marcie’s full column and others by her at www.housekeysblog.blogspot.com .